This machine is designed for non-standing cylindrical containers or products that are not vertically stable (round bottom or top-heavy) including ampoules, vials, crayons, tube, lip balm containers, small batteries ... , etc. ● Mitsubishi PLC combine with Proface human / machine interface touch screen controller. 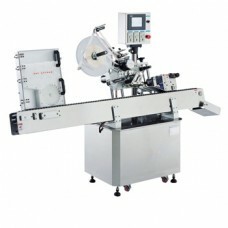 ● Labeling speed: 150 - 250 containers / items with hot foil printer. 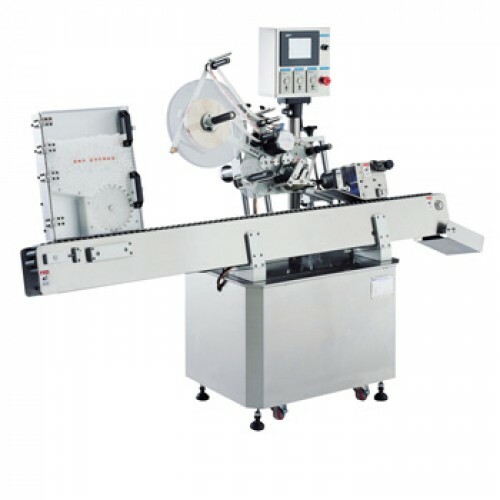 ● Labeling speed varies based upon product and label size. Actual Speed is determined by product testing. ● LRD-611 0 Lion Sensor for transparent labels (USA made). ● Custom Loading Case to be designed for each product size.